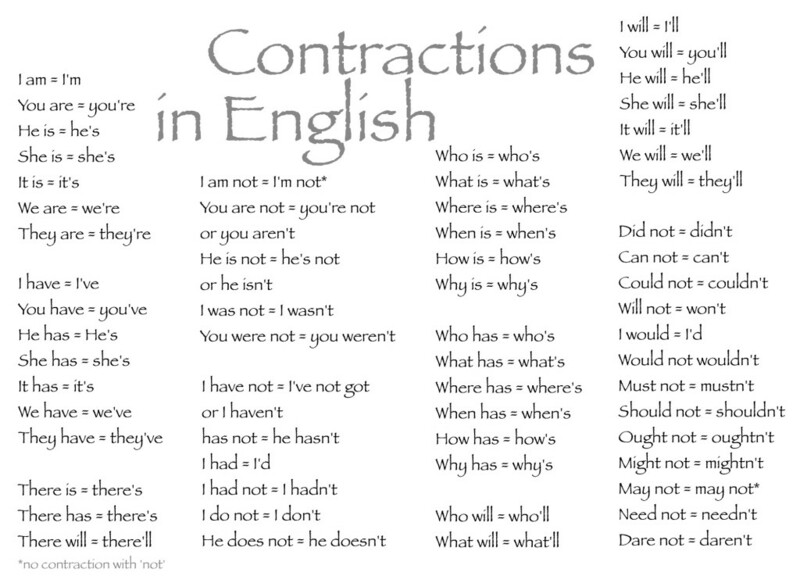 A list of contractions in English. A contraction is a part of a phrase that has been shortened by dropping one or more letters. We use contractions in everyday speech and informal writing.